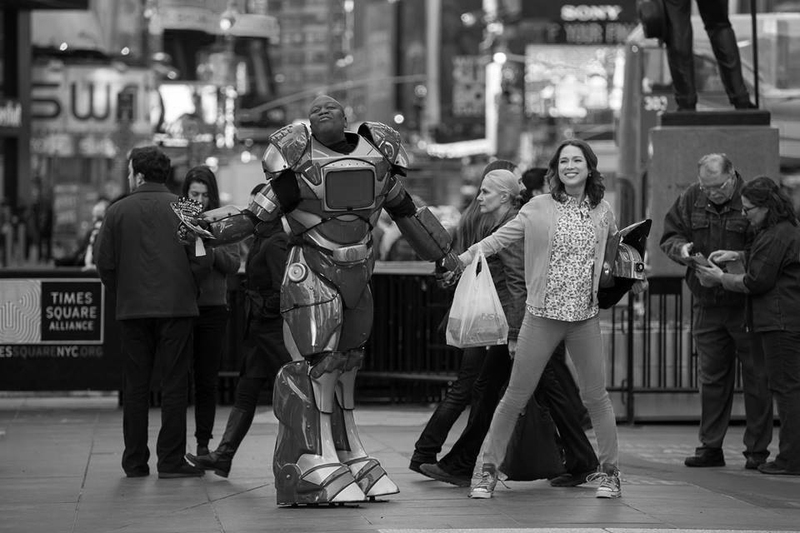 Funny, quirky, and a little bit nutty are what can only describe “UnBreakable Kimmy Schmidt,” The premiere show is written by the hilarious minds of Saturday Night Live and 30 Rock alums, Tina Fey and Robert Carlock. The show which premiered on Netflix in March, follows the life of Kimmy Schmidt, played by Ellie Kemper of “The Office,” after she is rescued after spending 15 years in an underground bunker of a doomsday cult. After an interview on the “Today Show” with the other “mole women,” Schmidt decides she wants to find her way in New York. There she meets Titus Andromedon, the epitome of backhanded compliments and honestly feisty commentary, who becomes her new roommate and friend. Throughout her antics, Schmidt meets many other hilarious characters along the way, which help her adapt to her new life. Schmidt finds herself in hilarious situations as she tries to figure out the 21st century. In one scene, she doesn’t know what a selfie is, or how to use a smart phone. She had to learn a lot of new things and social cues. Schmidt is a strong woman, who is determined not to be the victim anymore, and doesn’t want to remember her time as a “mole woman.” She shows an endurance that proves anyone can recover from a bad situation. Schmidt has a lot of depth to her character, even for a comedy show, and will make viewers care about her. No matter how bad, weird or looney she is, there is a person underneath, still developing. Schmidt takes everything with a grain of sugar, but ends up with salt, but that’s okay. Everything she’s gone through has made her who she is becoming. “UnBreakable Kimmy Schmidt” makes the viewer care about the characters, even the minor ones like Titus, and others like Jacqueline Voorhees. The show makes the viewer care about Schmidt’s progress and growth within the season’s thirteen episodes. Kimmy Schmidt is truly unbreakable. The next season will be exciting for viewers to see what kind of humorous antics Schmidt gets herself into as deals with her remaining mental trauma of the bunker.